As El Paso’s population continues to grow, so does the selection for areas in which to reside within the Sun City. Cimarron, a one-of-a-kind community development project from Hunt Companies, Inc., is one of those newest options. 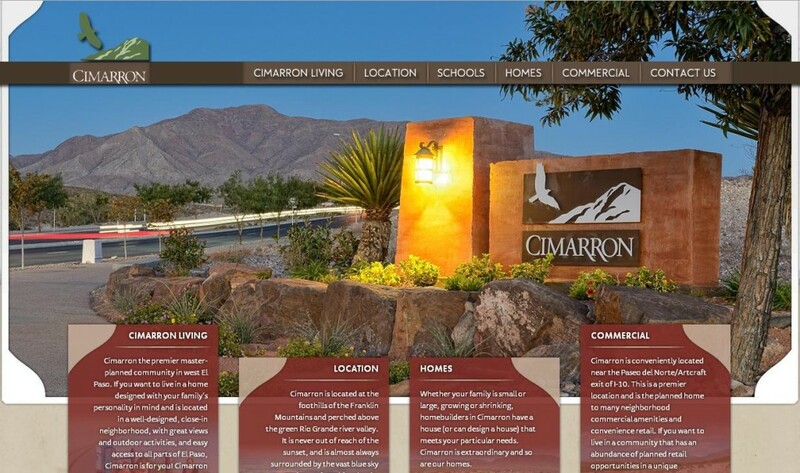 If you’re in the market for a new home, check out the Cimarron website. If you’re in the market for a new site, let’s talk! The website developed for this latest venture includes detailed information for the community. If a user wants to see maps of the area, get more details about the neighborhood school being built within the community or access documents related to the area, it’s all easily accessible through the new structure. A variety of photos provided by Stanton Street’s photography services can also be found throughout the entire site. If your company is in the market for a new online presence, call or shoot us a message today!